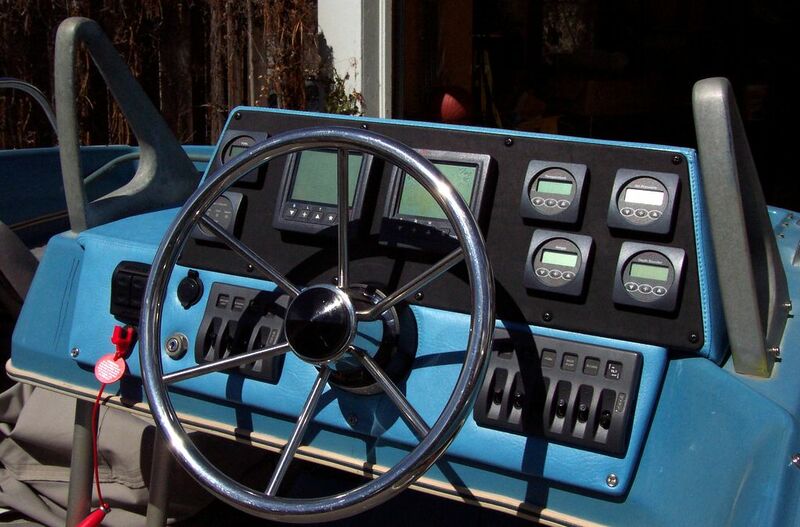 During the off-season winter of 2005 - 2006, I decided to update my Sportsman's existing helm console. My goals were to update the safety, reliability, functionality, and appearance of the Evinrude Sportsman's instruments and controls. In short, I wanted to combine the best modern technology and allow it to compliment the tidy, 40-year-old design. For reference, several Evinrude Sportsman helm's can be viewed here. The completed project is detailed below. Click on the links in the left page margin to learn more.